A high-quality triple split dog lead is designed for comfortable walking of three dogs of medium or large size. Our walking three dogs leash is made of genuine leather, hand-sewn with reinforced thread, equipped with a brass snap hook. Three leashes are of different lengths so that dogs do not interfere with each other while walking. The unique design of a walking three dogs leash allows you to unfasten any leash or extend it providing more convenience and freedom for dogs. All brass snap hooks rotate that does not allow dog leashes to entangle in the chaotic movement of your pets. A dog leash for 3 (three) dogs has high strength and durability. Be sure that it will serve for many years with minimal care and it will not lose its original look. The best 3 dog leash is a high-quality, multi-functional dog supply that helps you keep and control the behavior of three dogs while walking, hiking, jogging, travelling, visiting crowded places, dog shows. Hurry up to order an extra durable and reliable walking three dogs leash at the affordable price from the producer directly! The design of a walking three dogs leash allows you to unfasten any leash providing more freedom for your doggy. Brass snap hooks rotate that does not allow dog leashes to entangle. 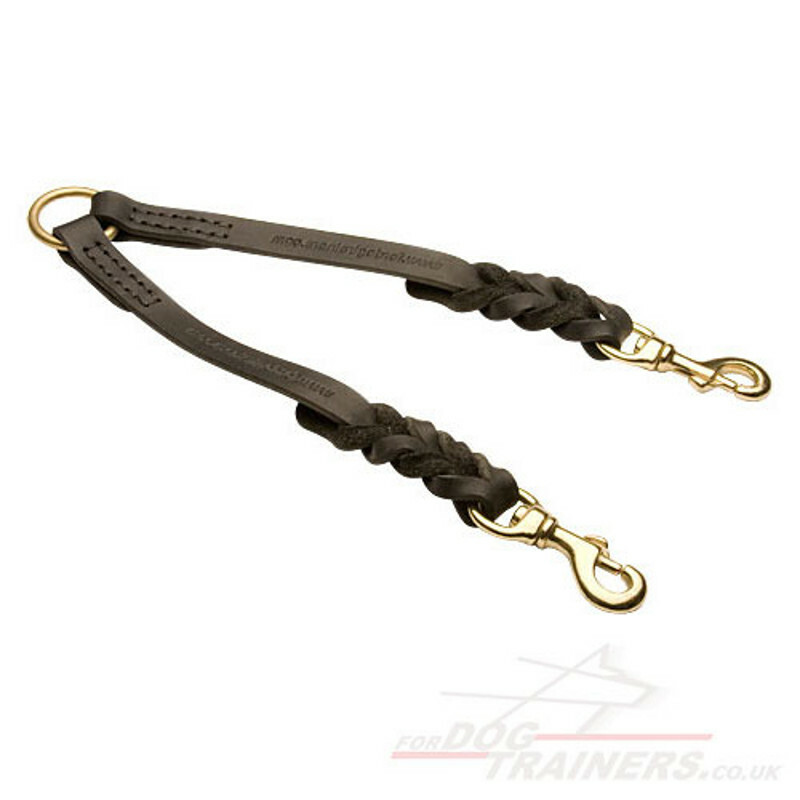 Rustproof brass hardware and strong leather of a triple dog lead make it extremely durable.